We’d like to look after Ewe. Sign up. It’s free. Welcome to the Ear Tags Warehouse – an Australian family business dedicated to making livestock tagging simple, efficient and cost effective. No bull – we are as Australian as a Sunday roast! We are livestock breeders and exporters from Central Western NSW with a passion for livestock identification and the protection of our international meat and dairy reputation. We know the rules, we know the products and we have a great relationship with the manufacturers. 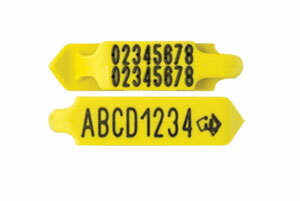 Our business is to help you access accurate and reliable ear tags, readers and accessories. We pride ourselves on our relationship with both our customers and our suppliers. We only supply tags designed to last in the harsh Australian conditions from Allflex, Leader Products, Zee Tags & Agri-ID, Stockbrands, and Wagin Tally. At Ear Tags Warehouse we are renown for our ability to put a tag on just about anything required. 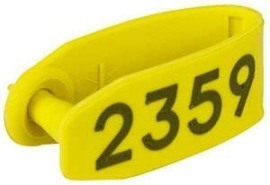 We sell a range of tags for cattle, sheep, goats, pigs, and alpacas. We also supply custom tags for a range of other purposes from aquatic scientific research to vineyard posts. We have completed custom tags for everything from pet and luggage identification to small intimate weddings and large-scale regional tourism events. There is a team of people from across regional Australia behind the Ear Tags Warehouse success story. We never outsource jobs that can be done in Australia to overseas, and only employ regionally based team members. No porky pies – we are here to help ewe! 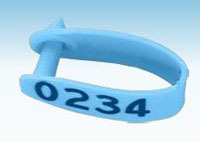 We are a one-stop-shop for everything related to tagging and identification at the Ear Tags Warehouse. 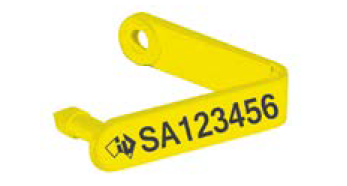 We supply one- and two-piece tags, applicators, electronic EID/RFID, NLIS, and readers. At the end of the day, we not only sell these products – we use them, so we know what we’re talking about! Not sure if your tags are the real deal? Choose from our selection of quality NLIS-accredited EID ear tags and visual tags to make sure you meet your legal obligations. Don’t get bogged down searching through ear tags you don’t need. Moove things along quicker by choosing from our industry-specific list of tags from all the leading manufacturers. Knowing what product is best for you isn’t always easy. We are one step ahead of ewe. Use our Prized Stud recommendation guide to work out which ear tag suits your flock best. Shop online 24/7, send us an email, fax or Call us. Every order is checked for accuracy reducing our Blundstone bootprint on our earth. We are laid-back country folk, whatever works for you is fine by us. Take away the stress of the last-minute scramble to get your NLIS approved ear tags by signing up with us so we can send you a friendly reminder well before they are due. People are lining up at the farm gate to get our ear tags. We have customised tags for use at vineyards, on bikes, on dogs collars, promotional products, even birthdays and weddings. We stick our nose in on NLIS changes and industry regulations and sharing it with you makes us as happy as sharing tea and scones. Sign up here to get all the goss. 3 years in a row now. These guys take the fuss out of ordering tags. Sal is a pleasure to deal with and nothing is to hard. Thanks heaps guys & love the notification email for posted tags. Still laughing. Great job! Thankyou so much for the quick delivery - we have 200 calves to mark today and the tags arrived yesterday - we are very impressed! (and grateful that we won’t have to get them back in to tag them!) Cheers, I will recommend you. I just wanted to say thank you very much for getting everything to us by the weekend – you were fab. Thank you!!!! Thank you for your fast and efficient service. We will definitely recommend your website to all our livestock contacts. You’re a champ! May have even saved our marriage. Thanks so much. Merry Christmas & a Happy New Ear! Custom Tags… Everyone is Doing it! We’re as Australian as a roast on Sunday. We are livestock breeders and exporters from central western NSW with a passion for livestock identification and protection of our international meat and dairy reputation. We know the rules, we know the products and we have a great relationship with the manufacturers. 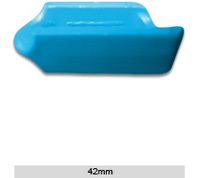 Our business is to help your business accurate and reliable ear tags, readers and accessories.